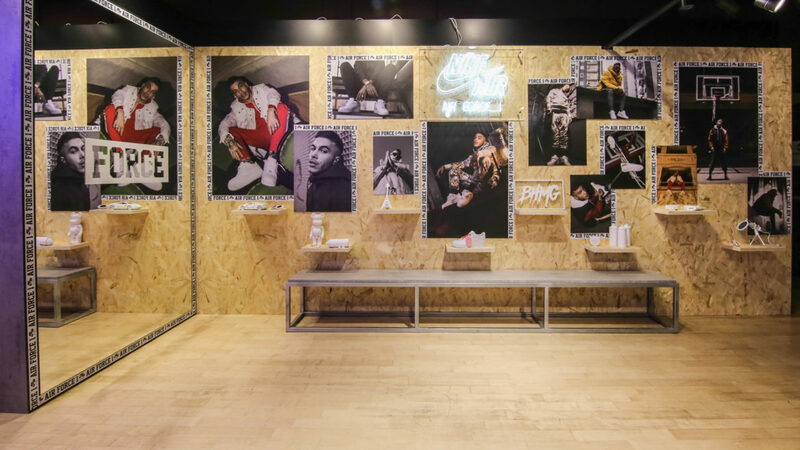 Foot Locker Europe teamed up with Nike and the Italian trap king Sfera Ebbasta to celebrate the legendary Air Force 1, the iconic sneaker that came on the scene in 1982 as a basketball shoe and became a medium for self-expression. 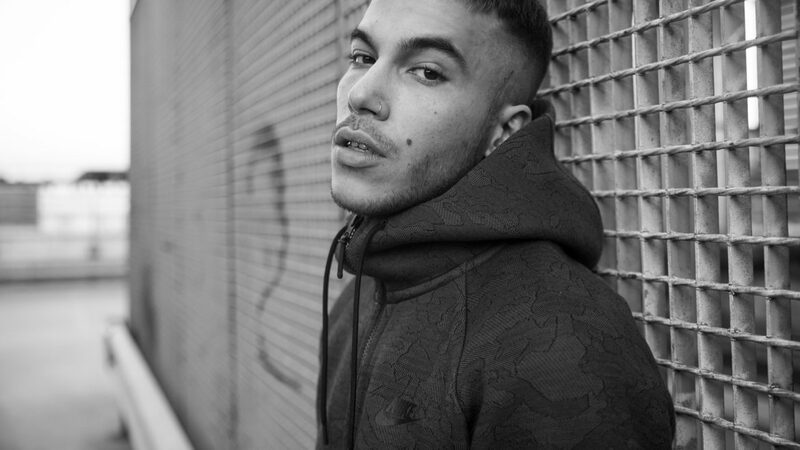 That’s why it is the perfect symbol to represent the passion that Sfera is putting into his work and his forward-looking style. 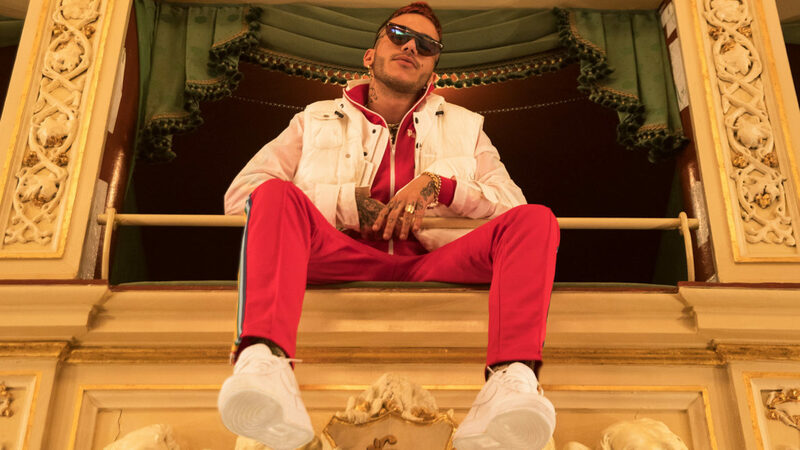 The campaign was set in different locations: at Cinisello Balsamo, Sfera’s hometown, just outside Milan; at Thaurus Studio, where he recorded his first track; in the city center, on a terrace close to the Duomo of Milan, and finally at Teatro Gerolamo. 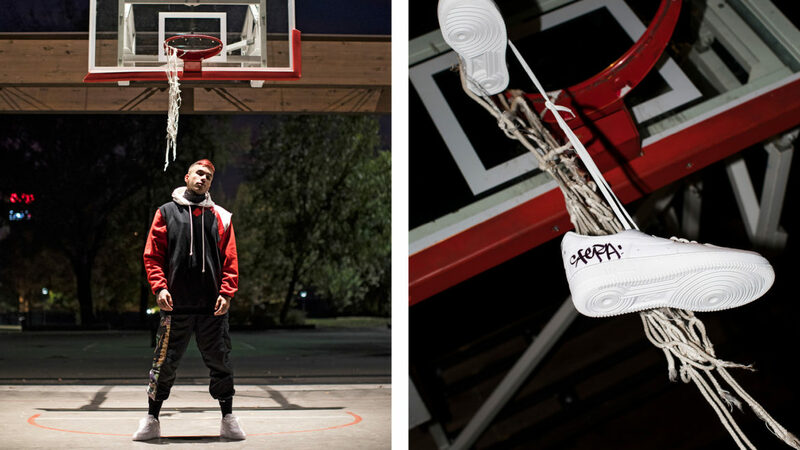 The campaign was shot by Cam Kirk, the Atlanta-based photographer considered one of the most talented observers of the American hip hop scene. 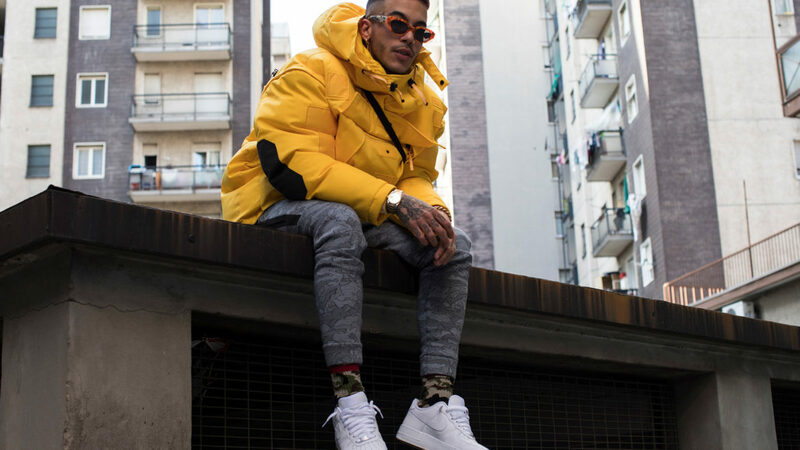 The video, filmed by London-based director and influencer Grace Ladoja, tells the story of Sfera in three chapters devoted to his past, present and future. 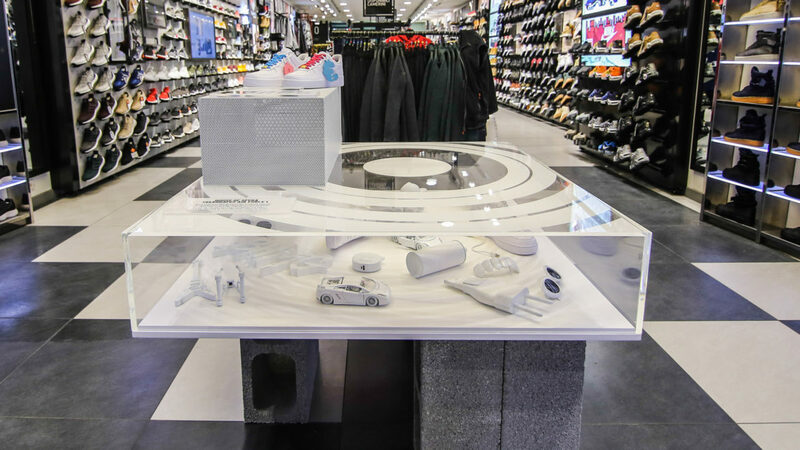 We were asked, together with our sister company Panottica, to take care of the creation and production of the campaign. 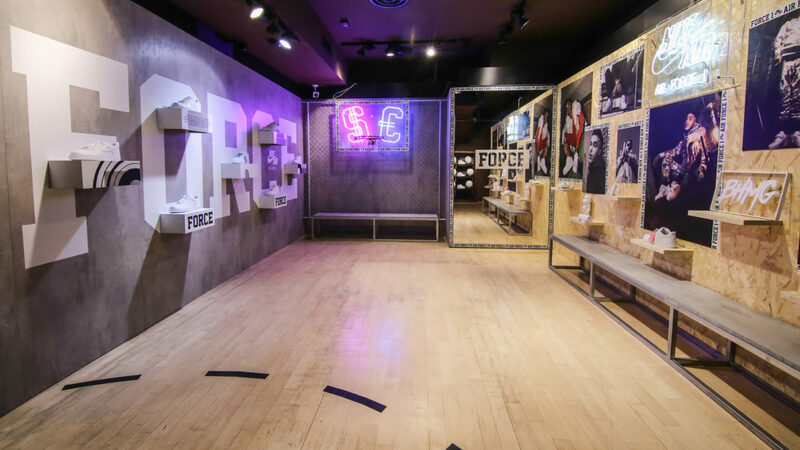 Moreover, we were in charge of the design and production of the retail launch set-up at Foot Locker House of Hoops in Milan. 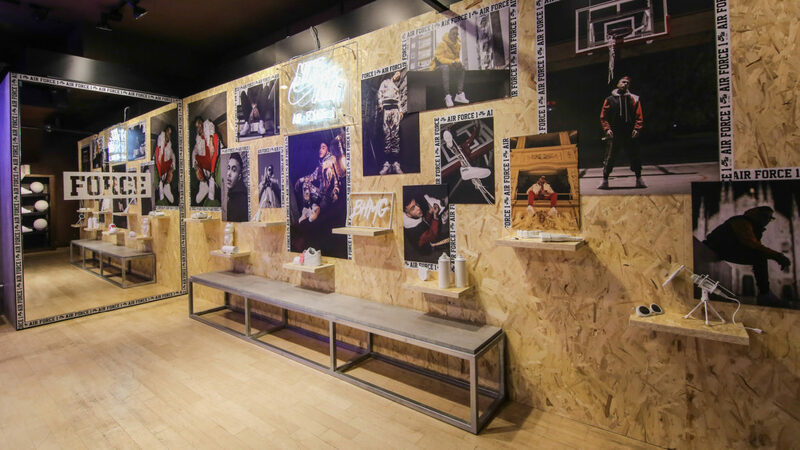 The store was turned into the House of Sfera to pay tribute to his work up to the top. 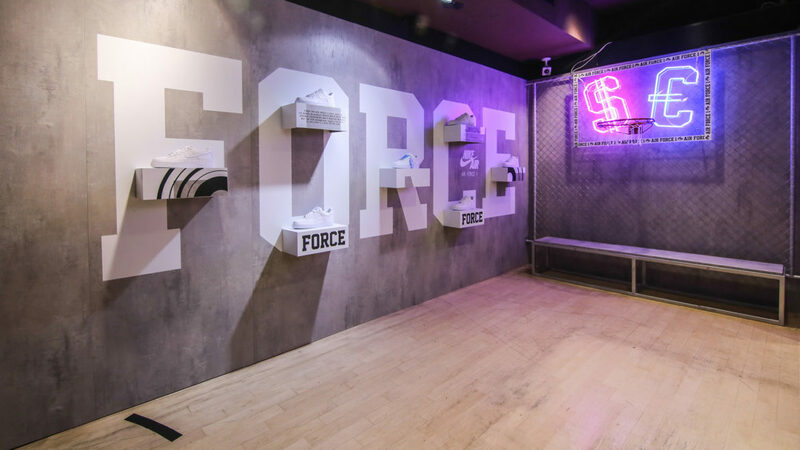 All consumers buying a pair of Air Force 1 triple white at House of Sfera from Dec 11th to Dec 21st will be given a customized pack – which includes personalized laces, dubrae and lace tags.